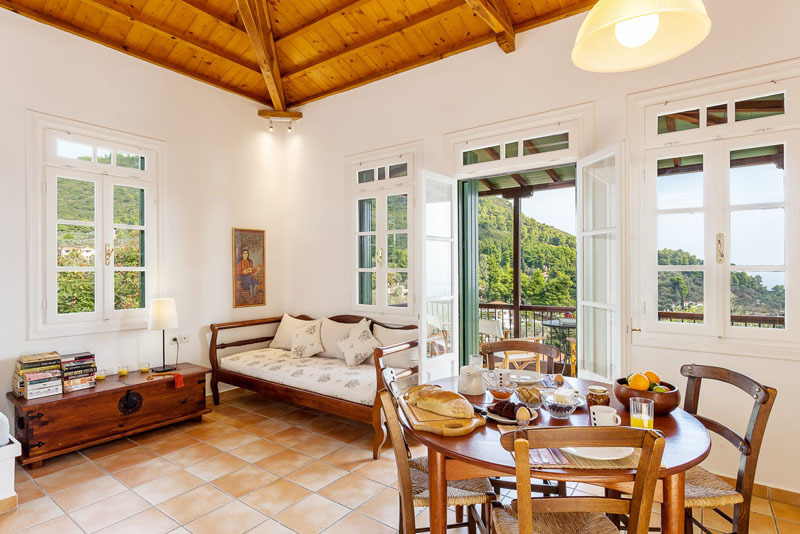 Skopelos already had a well deserved reputation as the most romantic of the Sporades Islands long before Hollywood invaded as the location for Mama Mia and this delightful small villa would make the perfect holiday! 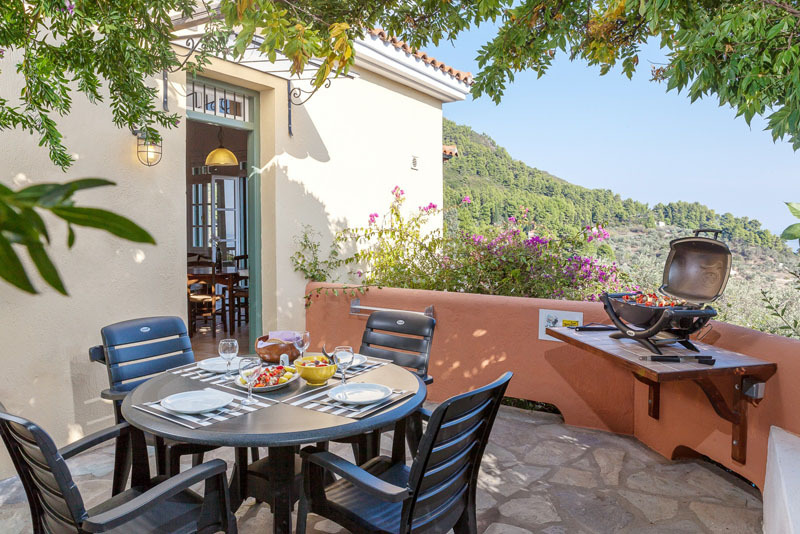 Skopelos is also renowned for the fertility of its interior where fruit orchards thrive and the quality of locally caught fish, so preparing simple delicious fish meals in the well equipped kitchen opening out onto the paved terrace and private swimming pool is a delight rather than a chore. 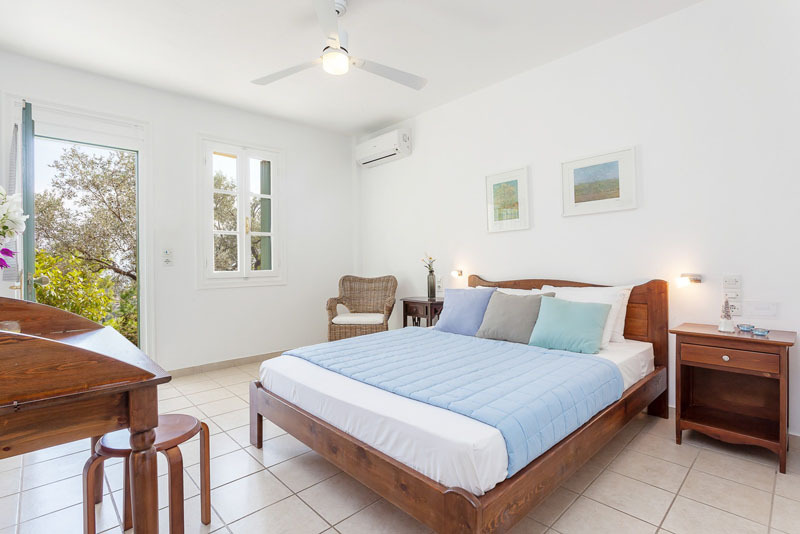 The comfortable master bedroom is air-conditioned with its own en-suite bathroom. 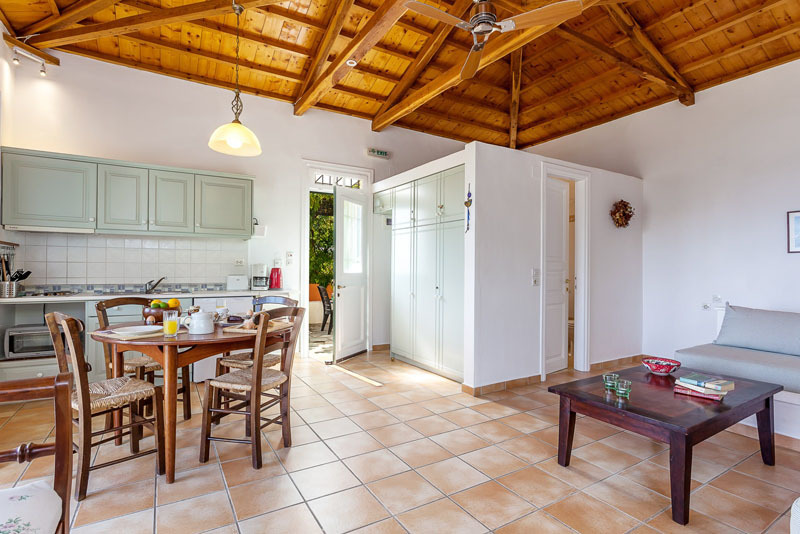 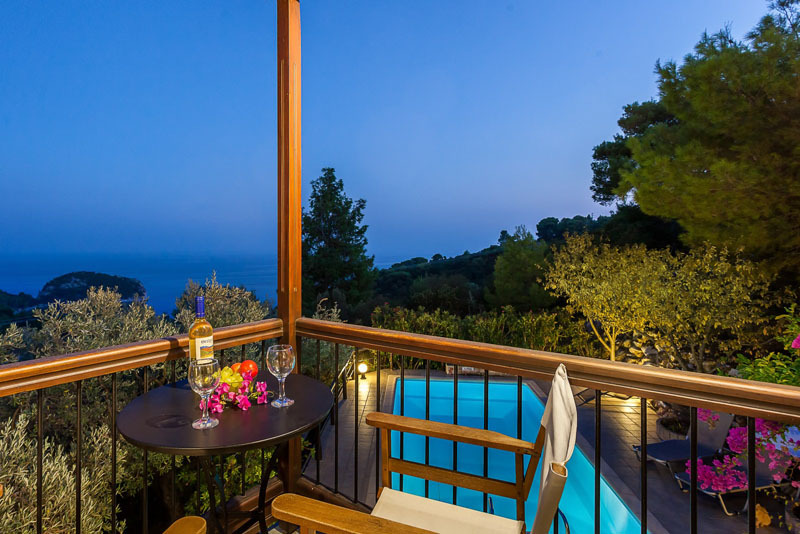 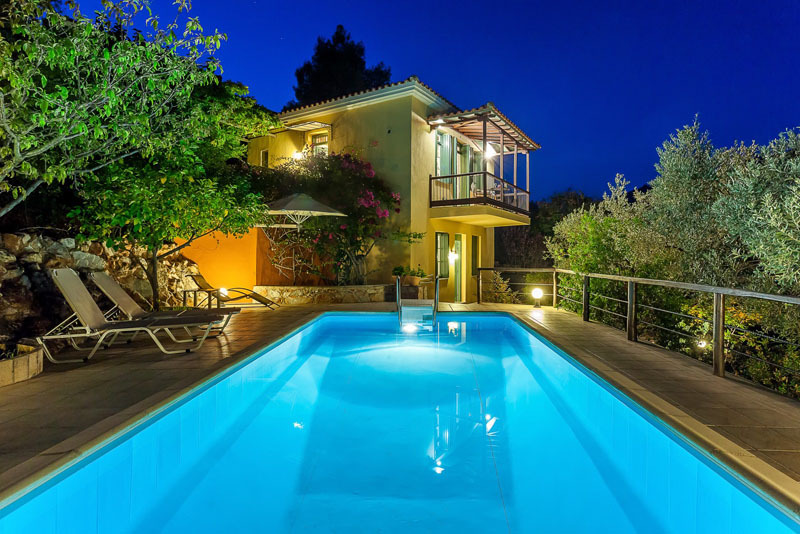 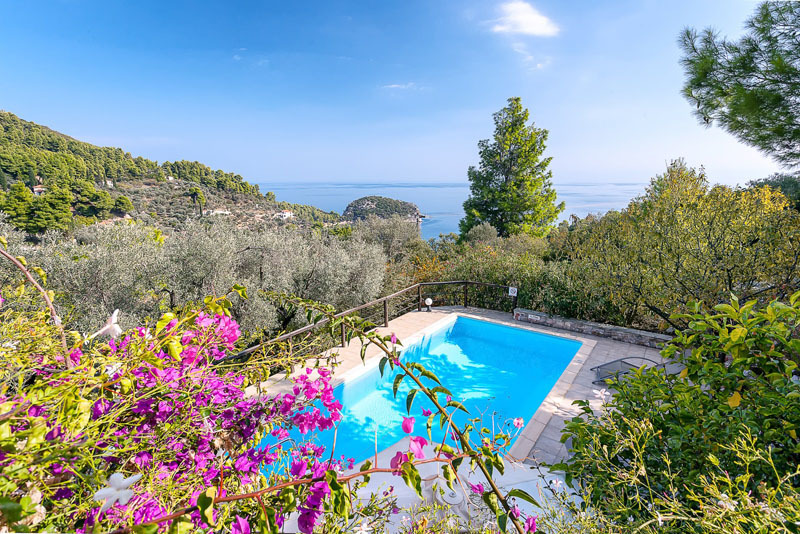 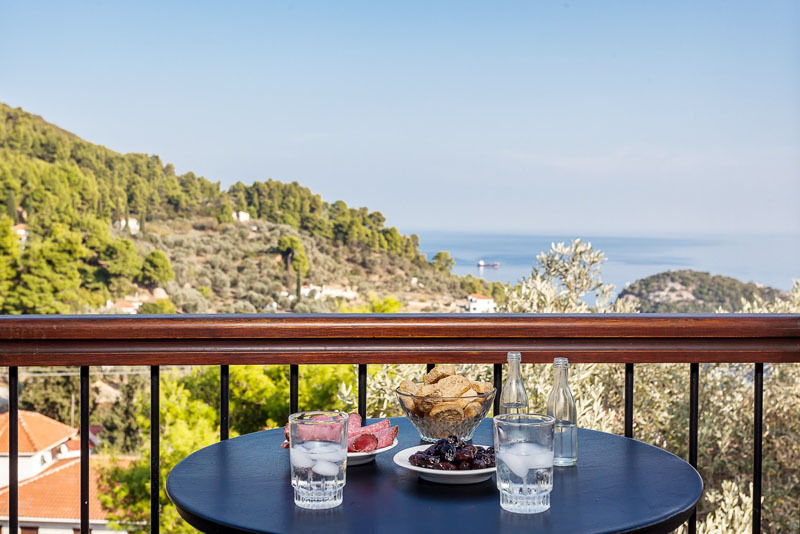 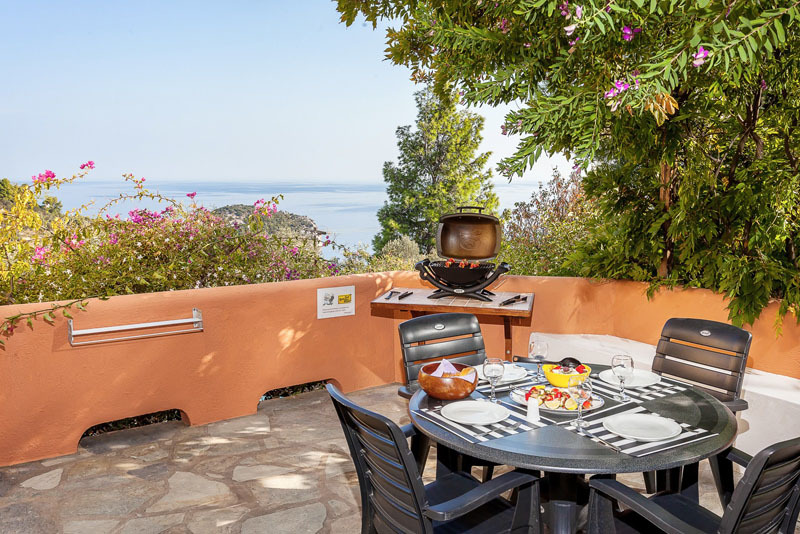 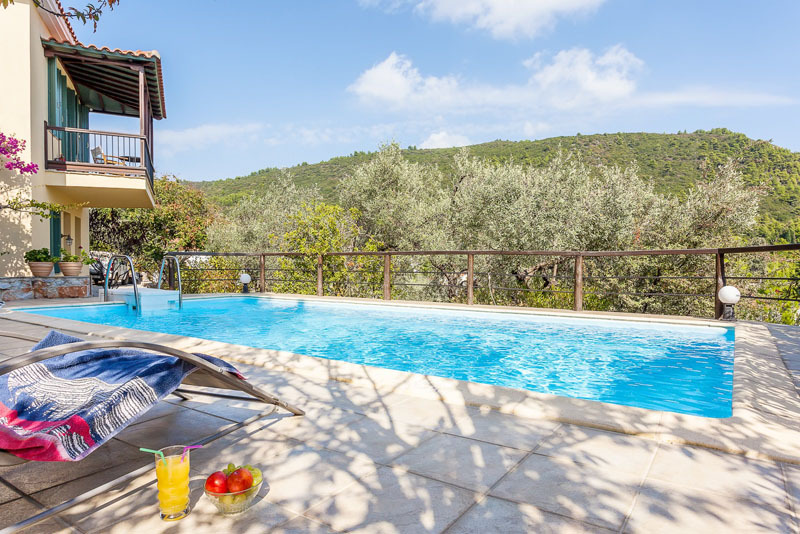 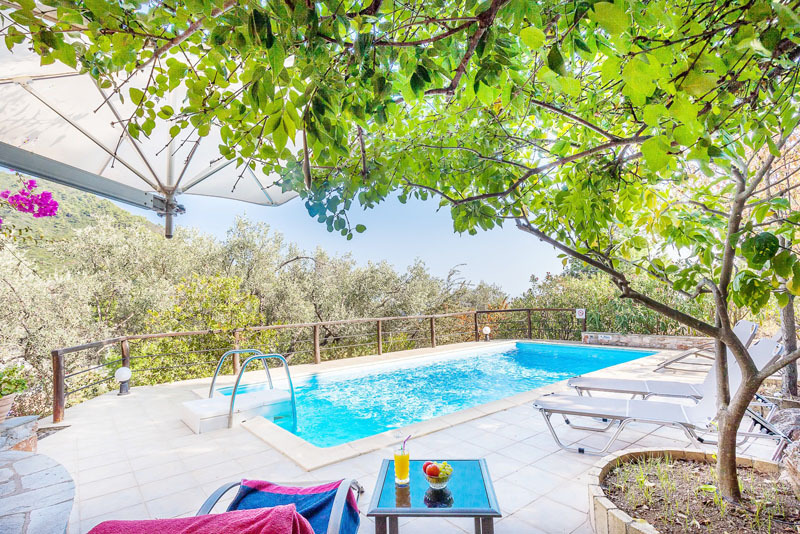 Set amongst the famous pine forest overlooking a sea dotted with green islands, the Villa Argos is a perfect retreat, with all the amenities and sights of this fascinating island close by. 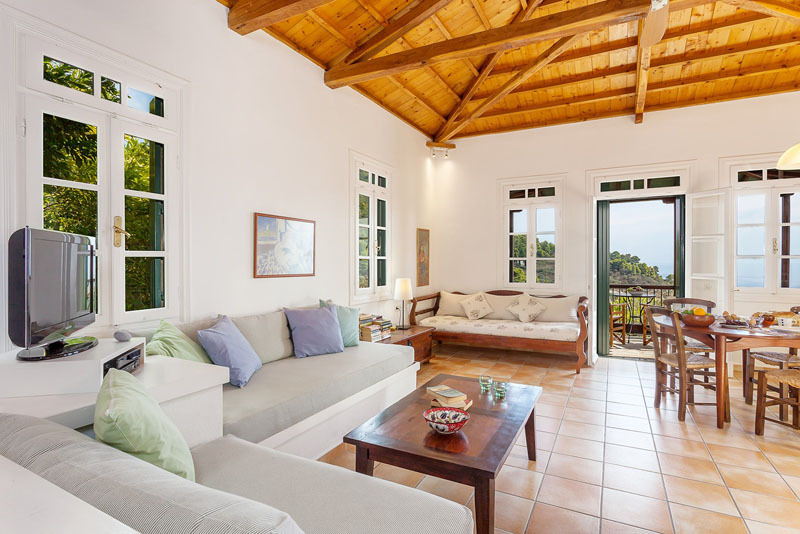 Inside or out the views are spectacular, yet the beach and village are all within easy walking distance. 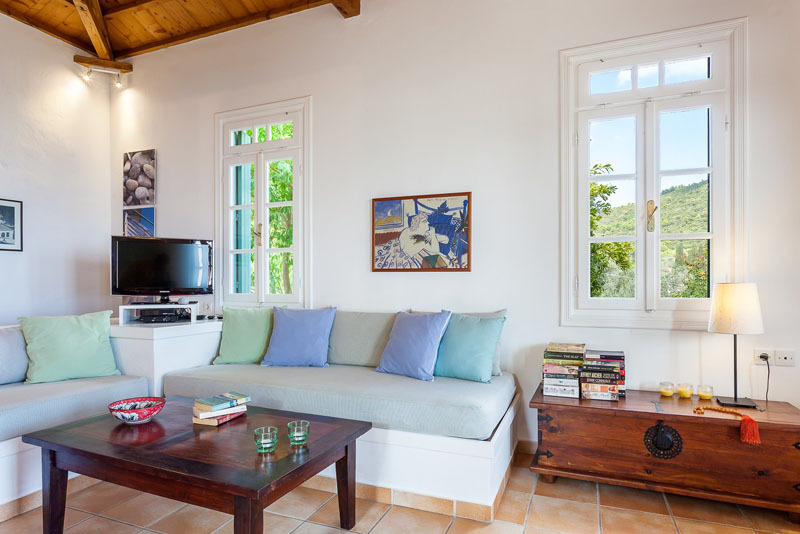 The Villa Argos is a small gem set in a jewel of an island.